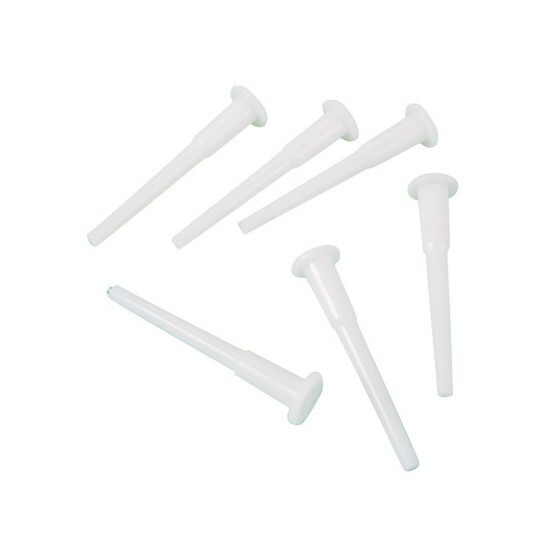 Set of 6 plastic plugs used to seal air into the ball. One size fits all. I only ordered one package of replacement plugs but the company sent me two packages. Very nice.